The disgust commentary is toward the end of the video but it is all worth listening to. Yes, some of us who have some sense are disgusted by immigrants who bring their poopy 'turd' world practices over here instead of just staying home. It is true a lot of white Russians who come from a low trust society could be a problem, but we really should be focusing on more European and I will say more whites at the risk of being called 'da rasis'. The '65 immigration act actually hurt American minorities like blacks and Hispanics who were already stuck in low wage jobs. But hey, magic dirt always works right? All those low IQ Muslim Somalis and Haitians practicing Santera are just libertarians at heart and understand concepts like private property and NAP. If by some sense you mean those who suffer hallucinations, then you may be right. It's not even a clever lie. There's simply NO correlation between the two. There's no historical or recognized correlation between the two, and for a very good reason: Immigration does NOT cause unemployment. If unemployment was the result of bringing in new workers, then each High School graduation in the US would be a disaster for employment roles of unskilled employees who graduated just the year prior, and next year's graduation would be a disaster for this year's HS graduates and so forth. Keep showcasing your sad ignorance of economic basics, Mismanager. The reason is because most immigrants do not generally compete for the same jobs than Americans ***prefer*** to do. Many other times they fill roles that employers have difficulty filling from native-born labor, for whatever reason. It is economic fact that: More Labor Means More Production, i.e. more goods, more services and more opportunities for increased wages, not LESS. Robinson Crusoe could perhaps be more productive than Friday but he can't do everyhing. Friday brings to Crusoe the FREEDOM to engage in other and more profitable activities. So the idea that an increase of labor means more poverty (which is what your ignorant claim implies) is based on false economic ideas. If there is unemployment, the cause is not an "excess" of labor but a temporary dislocation of resources, or excessive regulation or other attacks on contracts and Property Rights, none caused by immigrants. You're so keen to justify your bigotry that you dwell on subjects you do not grasp. Oh, the tired old saw how immigrants do jobs that Americans won't. Yawn! Surely you can do better than that tripe. Speaking of bigots, I'm guessing you Franco don't live in a ghetto black neighborhood filled with violent unemployable blacks. You are not moving to Africa anytime soon. I'm pretty sure you are a racist. Yes, "Yawn". The refuge of the intellectually lazy. Sure, I don't live in some ghetto, as you call it. I know quite a few black Americans who don't, either. They live where I live. You can call me any name you want, at least I'm not an economic ignoramus who insists on showcasing my ignorance in a public forum. A similar trait also appears to exist. As I was taught when first learning my Rothbard in January 1973, people always vote ETHNIC in multi-cultural societies with lots of public goods. This could now be expanded to the extreme TRIBAL voting we are now experiencing. Historically, libertarians have had no interest in this topic. It is a good reason to be concerned about a multi-ethnic social democracy. 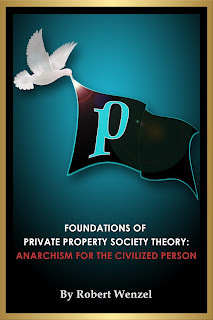 The same problems should not exist in a private property society because contracting parties have personal knowledge of those with whom they are dealing and because having a numerical majority does not lead to a total takeover by the newcomers of the pre-existing society by force. While Petersen is good on his right to speak, he is a charlatan with regard to his post-whatever science, steeped in Freud, Jung, Nietzsche, etc. If the listeners came across one of the studies Petersen cites, they would quickly dismiss those studies as standard fare for what comes out of universities. However, since his deliver is smooth, exuding a calm confidence in his psycho-babel, folks accept those views as fact. Petersen is amiable, but a little dangerous with regard to his underlying agenda. Well, this one was complete garbage. First, his analogy about Buckley and the JBS was backwards because Buckley was the bad guy and the JBS were the good guys. Third, both Peterson and Weinstein prattled on about evolutionary biology. Evolution has never happened. And isn't it funny how Weinstein makes the comment that evolution is amoral and then calls Hitler a monster? If evolution occurred and we are all just re-arranged pond scum, evolution is neutral and we have no basis other than personal opinion for defining good and bad and calling Hitler a monster. There is no way to determine what are the "marvelous" and "worst" features in humans to use Weinstein's words or "virtues" or "proper limits" to use Peterson's. The features or behaviors being referred to are just the result of the random collision of atoms - as is your assessment of them - if you believe in evolution. It never ceases to amaze me when anyone that believes in evolution makes any kind of comment regarding good or bad, right or wrong, moral or immoral, etc. Since evolution is neutral and has no positive or negative direction, how do we know that the millions of deaths that are the result of the Maos, Stalins, and Hitlers of the world were a "bad" thing? Evolution doesn't define "bad." Maybe the survival of the human race depended on those deaths. But even the survival of the human race is not a part of evolution, is it? Evolution is neutral, unguided, amoral, purposeless, etc. This is why we know Hitler was a monster - not because of an accidental "disgust" mechanism that protects us from disease and death. And why would that be "good," even if it were true? Evolution has no basis for determining "good." The fantasy religion of evolution has no explanation for anything. Yes. We're all living inside the Matrix and nothing has changed. There is no logic to your claim that the amorality of evolution entails the meaninglessness of value judgments. Do you also think that the amorality of the laws of physics implies that I shouldn't get upset when rocks fall on my head? Or that I shouldn't prefer certain patterns of light over others as placed upon a painting canvas? To Sean: If evolution is true, value judgments are simply the random collisions of atoms in your brain and are therefore meaningless. Non Sequitur. The fact living beings evolve does not mean Thought is the result of randomness. I like your general take on the video and yes, national socialism was a movement started by socialists who hijacked nationalism (nationalism as von Mises and many others understood it; see my post below). I find it quite astonishing that RW would shoot himself so blatantly in the foot by starting a topic with a visual "argumentum ad Hitlerum". As for the "biological explanation". That is hilarious nonsense of course. Let me add the following to what you've brought to the fore. Me thinks that what we see here, is the typical leftist slur on single repeat. It comes in many variations, but the underlying theme never changes. It goes something like this: reservations about mass immigration, can't possibly be held on rational/reasonable political grounds. That's the PC/MC dogma in a nutshell. The reason for speaking out against unchecked immigration must therefore be irrational (or non-rational) by default. Hence the evolutionary angle in this video. Using biological or evolutionary determinism as some kind of argument always implies that there's very little one can do about it. "Hey, I have to favor my kinda tribe, it's an evolutionary disgust mechanism man.."
So there you go, we've heard it all before. Questioning unchecked immigration must have something to do with.. what? "Why, racism of course!" That, or at least some sinister "irrational" motive like "fear of the Other," or "xenophobia". and now, we have this video's variation on that worn-out theme, showcasing a presupposed evolutionary determined "gut reaction" which serves a function, no doubt (because we all know that evolution must inherently serve some adaptive function). Well, luckily for libertarians who desire to make a positive difference in the real world, instead of joining the left in their never ending war on human nature, there are some very reasonable grounds to think twice about the weapons of mass migration that we see so much in use today (esp. in Europe). 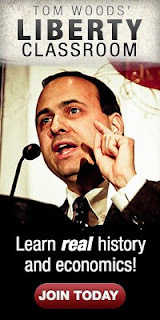 These reasonable grounds (common sense, actually) are covered in the works of Ludwig von Mises, Murray Rothbard, Hans-Hermann Hoppe, Lew Rockwell and many other scholars at the Mises Institute. To Francisco: Evolution is not a fact. It's not even a good theory. And it's an even worse religion. Care to tell us how consciousness came from matter? Mr. Spock: Your claim is a non sequitur and has nothing to do with evolution's truth or falsity. The closest I can come to finding a valid argument in what you are saying is this: If consciousness is the result of evolution AND consciousness is epiphenomenal, meaning that it has no causal force and thus has no role effect on the success or failure of an organism, then there is no reason to think that consciousness has any connection with truth or value, since in that case consciousness, its structure and its contents, would be total random in relation to the state of the physical world. That sort of evolutionary perspective is self-refuting and leads to total skepticism. But not all people who beleive in evolution believe that and I am willing to bet that Peterson absolutely does not believe that consiousness or mind is epiphenomenal. Oh how I wish my disgust mechanism directed at the state would protect me from its depredations. Yet another conspicuous attempt to smear nationalism and frame it as a statist/socialist/"right wing" phenomenon. No understanding that nationalism precedes the state, just like family and culture. But hey, this is so typical for an open borderite "libertarian" who - being part of the multiculti US State - has nothing meaningful to say about culture (it's all "communities" man..). Deranged multiculturalism and political correctness, Americas main export products nowadays, are leading to the destruction of nations in Europe whose political leaders for some reason still view the US as an example. These fears may perhaps be exaggerated with regard to the United States. As regards Australia, they certainly are not. [..] If Australia is thrown open to immigration, it can be assumed with great probability that its population would in a few years consist of Japanese, Chinese and Malayans. [..] The entire nation [not just workers] is unanimous, however, in fearing inundation by foreigners. The present inhabitants of those favored lands [the U.S. and Australia] fear that some day they could be reduced to a minority in their own country and that they would then have to suffer all horrors of national persecution to which, for instance, the Germans today  are exposed in Czechoslovakia, Italy, and Poland. There's always hope that the politically correct LiTO libertarianism that is advocated on this site will actually lead to beneficial results. Perhaps more will become interested in secession, when people start to see the detrimental effects this state sponsored balkanizing has on society (starting in the big cities). If in the end, the fake union of the Americas, called the USA, would be splintered into a hundred fragments, the world would be a far better place. One "exceptional nation" less to worry about. That would leave us with Israel of course..
No. The State came first. Nationalism second. National*ism* wasn't even a thing until the creation of the modern state.